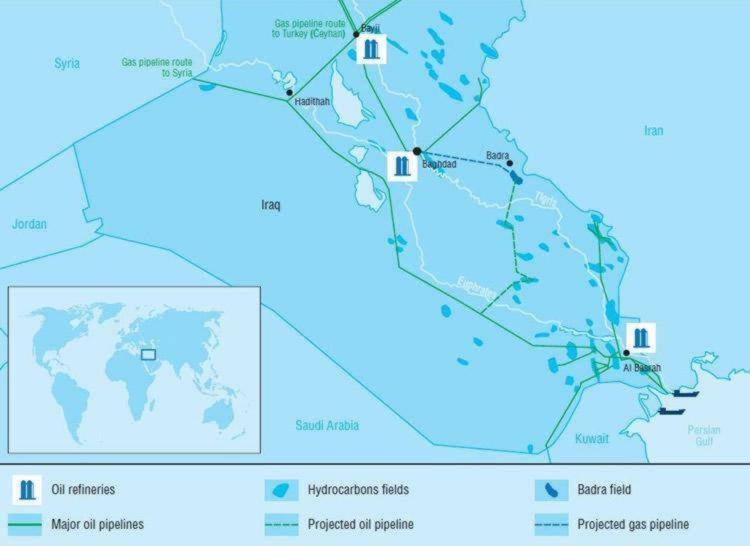 Gazprom Neft has completed laying, testing and connecting a 165 km oil pipeline from the Badra field, which the Company operates in Iraq, to the Gharraf oilfield (Nasiriyah district, Iraq). With infrastructure already in place at Gharraf, completion of the pipeline from Badra means that the field is now connected to the main Iraqi pipeline system. The new infrastructure for transporting raw materials from Badra has the capacity to transport 204,000 barrels per day, around 10 million tonnes per year, and can now supply oil to the export terminal at the city of Basra. The Badra-Gharraf pipeline has two underwater transits, including one crossing the river Tigris, and passes over dozens of canals and irrigation systems. For increased operating security, a system to detect leaks and shut off damaged sections and a power supply system running on solar cells will work along the entire length of the pipleline. Automated systems ensure constant monitoring of the oil transit and real-time management of the pipeline from the Badra field. Gazprom Neft has successfully completed hydrodynamic testing of all sections of the pipeline and the system has been checked for robustness and integrity. Gazprom Neft produced its first oil at Badra in December 2013 as part of operating tests on well BD4. Work is currently continuing at the site to develop the infrastructure necessary to launch production, which is scheduled for the first half of 2014. The construction of a central gathering station (CGS) with a capacity of 170,000 barrels per day is under way. The first CGS line will be coming into operation imminently, with a capacity of 60,000 barrels per day. Work has also started on a complex gas treatment plant (UKPG) with the capacity to handle some 1.5 billion cubic metres per year.